Sarah's 16th Birthday Scavenger Hunt! What do you do when your daughter turns 16 and wants to do something different with her gal pals??? A CityScape Adventures Scavenger Hunt Party!! 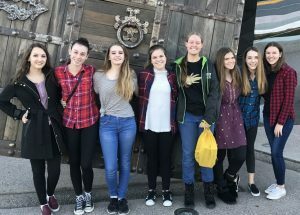 Sarah and her friends took to the street of Old Town Scottsdale solving clues and completing challenges in this personalized Scavenger Hunt Experience. Enjoy the memories and video of your fun afternoon! There are so many fun and unique places to explore in Old Town Scottsdale! What a great way to explore the city, create memories and have a great time!! Click HERE for your own Scavenger Hunt Party!